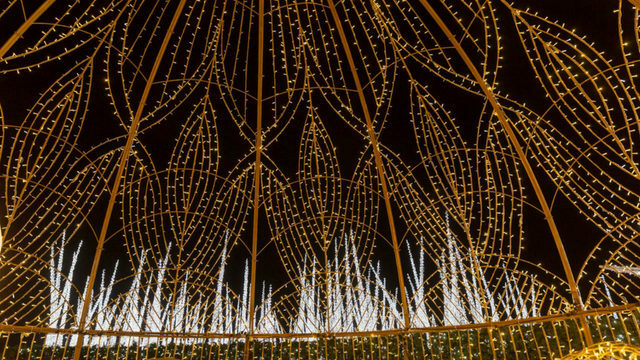 he world’s largest Christmas light maze is coming to Seattle. The Christmas light maze, “Enchant Christmas,” will be hosted at Seattle’s Safeco Field Nov. 23 to Dec. 30 this year. An event page says there will be millions of “dazzling lights” and an artisan market for Christmas gifts. The maze will be in Seattle and Arlington, Texas this winter. You can read all the details on their websitehere. The event will also have an ice skating rink and winter-inspired food and beverages. If you’re interested in being a vendor at the Seattle Christmas market, you can fill out the form at this link.